Microsoft on Tuesday released the latest beta of Windows Live Essentials 2011, a collection of free applications that run on Windows Vista or Windows 7, including Messenger, Photo Gallery, Movie Maker, and Mail. Several Live Essentials apps were bundled with earlier versions of Windows, but Microsoft left them out of the more streamlined Windows 7. In addition to the usual performance tweaks and bug-quashing updates, the latest beta adds some nifty enhancements, most notably Messenger's new integration with Facebook chat. (Click on the image to enlarge it.) "Many of you have been asking for Facebook chat, and it's finally here. More than half of all Messenger customers also use Facebook," wrote Microsoft's Chris Jones, vice president of Windows Live Engineering, in a blog post. 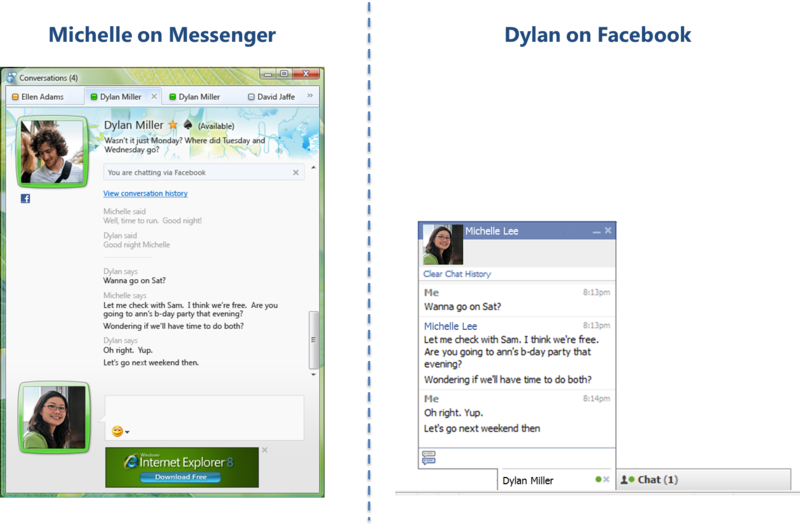 In the earlier Live Essentials 2011 beta, Messenger provided a single view for social network updates, including those from Facebook. In the latest version, Messenger users can chat directly with their Facebook friends. If you'd rather keep your Messenger and Facebook worlds separate, you can select that option on the profile page. Since Microsoft and Facebook will have to beef up their back-end hardware to enable Messenger's 300 million customers to chat directly with Facebook's 500 million users, this integration will be phased in gradually. The US, UK, France, Brazil, Germany, and Russia will get Messenger-Facebook chat right away, but other regions will have to wait an unspecified period of time. Sorry, Twitter fans, but Messenger has left you out in the cold for now. Photo Gallery is handy program for basic photo viewing, organizing, and editing. 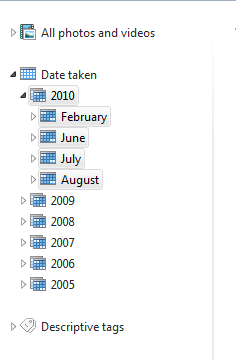 The Live Essentials 2011 version adds cool stuff like face recognition--which works faster in the new beta-- and a "ribbon" interface that will be familiar to Microsoft 2007 and 2010 users. The new beta lets you publish movies directly to Flickr from Movie Maker, Windows Live Essentials' video-editing app. (Photo Gallery already had this feature.) Movie Maker now uploads higher-resolution movies (480 by 640 versus the earlier 320 by 480) to Micrsoft's free SkyDrive online storage site. And the new Snapshot feature lets you grab a single video frame from the preview window and add it to a movie. The Windows Live Essentials 2011 beta looks promising thus far--and it's free. Windows Vista and Windows 7 users should give it a test drive.